Power systems play an integral role in the success and productivity of a vast range of industries across the region. When you need a piece of equipment to power your operation and purchasing new doesn’t fit the plan, the rental market represents a fast, cost effective and efficient solution. If you’re searching for a local source capable of meeting all your short- or long-term power system project requirements, Gregory Poole is the go-to source for rental equipment in eastern North Carolina. We offer an extensive selection of power system products for rent manufactured by Caterpillar® and other leading allied brands. All of our low hour equipment is meticulously tested and maintained to ensure reliable, efficient performance. From exceptional product availability to expert support in identifying the right equipment, Gregory Poole provides everything you need to control costs and increase uptime. Available for standby power, prime power, and crisis support, we carry power generation equipment rentals to meet virtually any requirement and regulatory environments. Our selection includes mobile, stationary and trailer-mounted units in a broad range of power ratings and frequencies. 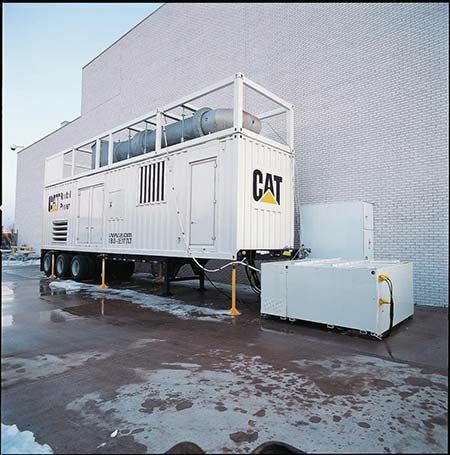 Cat® electric power generation equipment features low emission gas and diesel ACERT engines, 100% spill containment, quiet operation and three-phase adjustable sensing for exceptional control and constant voltage ranges. Gregory Poole rents power distribution equipment including I line panels, breaks, ATS switches, splitter panels and customer distribution. No matter if you’re managing a construction site, healthcare facility or financial institution, we provide everything necessary to protect your critical systems and ensure a safe and continuous power supply. In addition to electrical power distribution rentals, we also offer a variety of power cables, portable load banks and other parts and accessories to meet your needs. Rental Chillers, Air conditioners, Air handlers, and Heaters help control temperatures for many different types of businesses and industries. We carry cooling and air conditioning solutions including air-cooled and water-cooled chillers that are quiet running and energy efficient. Our rental heaters and dehumidifiers are user-friendly and offer trouble-free starting, easy transportation and simple operation. Offering the largest fleet of industrial and construction air compressors in the Triangle, you’re sure to find an equipment rental capable of powering your operation. We rent air compressors in a broad range of sizes and configurations. You will also find a variety of air compressor tools for rent suited to your requirements. Units are available in diesel, electric, and hydraulic submersible. We maintain an extensive selection of rental pumps in stock, so you’re sure to find what you require when you need it most. Whether you’re responding to a water line break or have an application that calls for the removal of raw sewage, our experienced team will help identify the most efficient solutions. Rely on Gregory Poole Power Systems Rental for temporary power, load banks, temperature control equipment, compressed air and pumps! Our extensive inventory for rent, our technical expertise and our 24-hour support ensure that you have what you need when you need it – whether it’s for a planned shutdown or an unexpected emergency. We have the ability to mobilize at a moment’s notice to ensure you have the power systems your business depends on. Renting electrical power generation equipment and related products helps growing businesses lower operating expenses and overhead while increasing overall capabilities. Renting is often the most economical choice in situations where you have a short-term application, are temporarily replacing a piece of damaged equipment or are responding to an emergency power disruption. 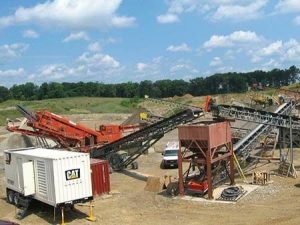 Power generation equipment rentals also allow businesses to try a particular model before choosing to buy it. Our professional team will work fast to assess your requirements in order to recommend the products and accessories that efficiently meet your needs. Gregory Poole is the authorized Cat® dealer for eastern North Carolina and go-to source to rent power generation equipment in the region. We call on nearly 65 years of experience to provide the best service, selection and availability in the industry. Give us a call, submit our online contact form or visit the location in your area for more information on renting power equipment. Providing the comprehensive power solutions your business needs to succeed: We’re Built for It.